Milling roll & woram all types of silky milling roll & feed screw( woram) in casting.All types of whitener feed screw. It is created by the special material. So that it cannot damage and get a good life. 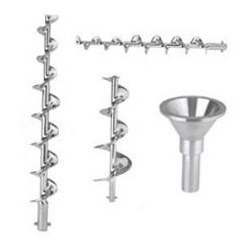 Feeding Assembly with Feed Screws are designed to convey the material and at the same time act as a pre-crusher for reducing large soft mass material to admissible feed size. Reduction Gear unit operates feed screws assuring thereby a uniform feed flow for a better yield with maximum. We are one of the leading suppliers of Feedworm which is made of nylone, derling, nylone cast, UHMW and teflone. It is used in pharmaceutical industry Ann fluid industry. 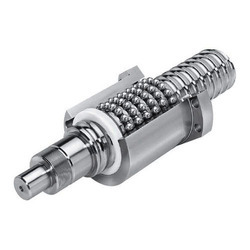 Being a well-distinguished company in the market, we are into offering Cross Feed Screw.